You can receive your free copy of the international magazine for filtration industries worldwide by clicking here. Filtration+Separation is published 6 times a year. It contains the latest business and product news, event listing, case studies and features. Many features are exclusive to the magazine. An evaporation process reduces slurry volumes by 60% and creates a potential revenue stream for farmers. 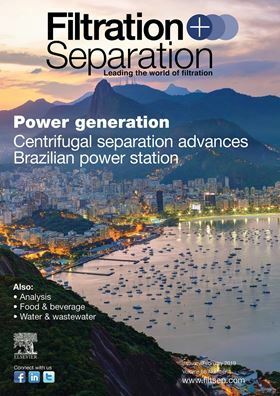 A Brazilian power plant reduced disposal costs, recover water for re-use and provide clean fuel oil. The Industrial Internet of Things will change the way filtration equipment and media is selected and sold. Proper use of membrane filter cartridges in sparkling wine production may eliminate the causes of clogging.